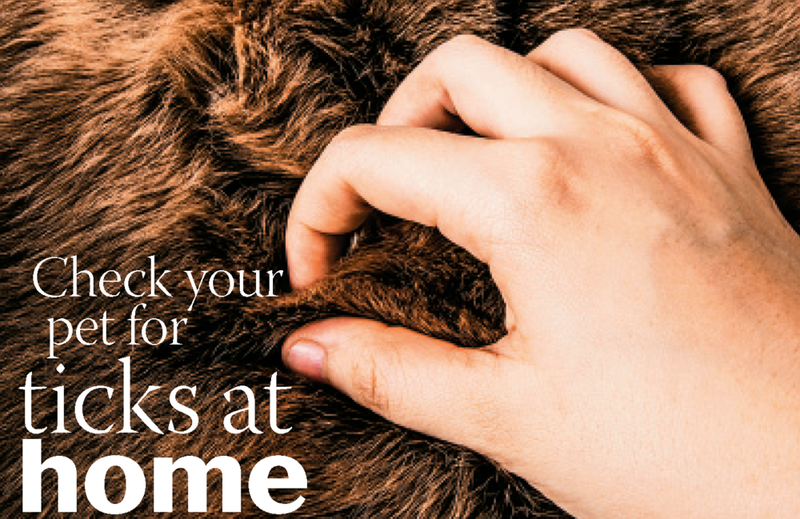 Checking Your Pets For Ticks...At Home! It's that time of year...ticks are out in force! They are on track to cause more problems and be more prevalent than ever! If your pet frequents the outdoors (including hunting dogs), the woods, or simply spends a lot of time in the shrubs ;), you should think about a tick preventative. At Emerald City Animal Hospital we have many products that cover ticks. We have found the following two to be most effective. Nexgard is a flea and tick preventative chewable that you give every 30 days. Bravecto is a flea and tick preventative that lasts 3 months. Don’t be fooled by the size of ticks – even these small bugs can cause big problems for your pet. Because ticks feed on blood, they can transmit diseases such as Lyme disease, anaplasmosis, and Rocky Mountain spotted fever. Here are a few tips to help protect your pet from these dangerous pests. Even when using a preventative product, manually checking for ticks is highly recommended. Some products are made to kill ticks, but not to repel them. This means they can hitch a ride on your pet and into your home. It is best to check for ticks daily, but it is especially important after your pet has been in a grassy or wooded area. The most efficient way to check for ticks is to start at one end of your pet and work your way down their body. Use your fingers to comb through their fur, paying special attention to their head as this is a favorite spot for ticks to hang out. Be sure to check their ears, between their toes and inside their limbs. Apply enough pressure to feel for any bumps or scabbed areas, especially on pets with longer fur. Remember that ticks can range in size, from a grain of sand to a large blueberry. The size can depend on their age, type, and whether or not they have had a recent blood meal.